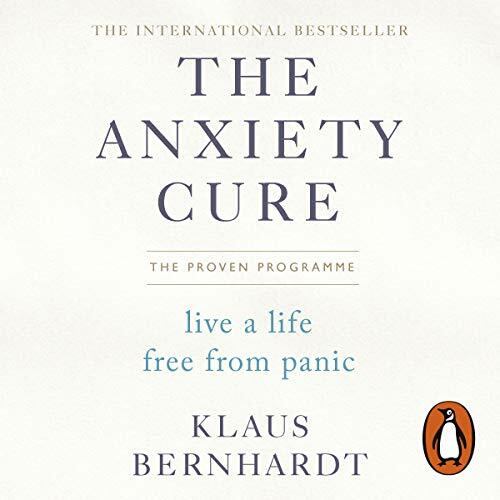 Random House presents the audiobook edition of The Anxiety Cure by Klaus Bernhardt, read by Simon Ludders. Whether you suffer from panic attacks or general anxiety, Klaus Bernhardt’s proven anxiety cure will help you lead a calmer, happier life fast. Using the latest research in neuroscience combined with the most useful elements of therapies such as CBT, hypnotherapy and positive psychology, The Anxiety Cure will introduce you to a powerful approach to stop anxiety in its tracks. Within just a few weeks, using tried and tested mind training and pattern breaker techniques, you will discover the real cause of your anxiety, learn to rewire negative thinking and completely transform your response to anxiety-inducing situations and thoughts. Klaus Bernhardt's methods have already been used by thousands of people to turn their lives around, and now this practical and easy-to-action audiobook is your chance to take control, regain your confidence and live your life. I had high hopes for this book. I'm disappointed to see that it's nothing but a hodgepodge of "law of attraction" and NLP techniques. It might work for people who prefers that stuff for there are more than one ways to wellness. However, my path is more mindfulness/Acceptance and commitment therapy. I need my dose of reality and I need healthy optimism. Not wishful thinking woo woo stuff.